Once you have learned how to grow a crop the next step is to cure it. You don't want to always smoke weed that's harsh and bad tasting. Here are some basic tips and a few advanced ones you can experiment with. Preparing the harvest curing the crop adding flavors. Curing your harvest is an important step in the cultivation process. Many new growers are so eager to try the product they don't even wait for it to mature. They cut off buds that aren't ripe and dry them out fast. I've heard of people putting buds in the microwave because they couldn't wait for them to dry. If taste, aroma and maximum potency is important to you then you want to cure your buds and not just dry them. There are many ways to do this and I'm just going to go over a few basic things. You can find whole books on the subject if you are interested. See the bottom of this page for books. Preparations must be made well before curing begins. The experienced grower harvests his crop when 50 to 80% of the pistles have turned color. If you have grown out the strain before you have a good idea when they will be ready. You will need to clear the plants of nutrients (fertilizer) right before you harvest. The growing medium and the plants themselves store some of the nutes you have given them. This will give a nasty taste if you harvest without clearing it out. Excessive nutes will also make the buds hard to burn. Plants need fertilizer to grow and mature so you want to wait right before you are going to harvest and give them plain water. They will use up the ferts they have stored and will not slow down noticeably. If you are using hydro start clearing 3 to 7 days before harvest. This can be done by changing the solution and using only plain water. Some growers will change the solution twice because the rockwool or grow rocks may hold a little. With soil you need to change to plain water at least a week and preferably two weeks before harvest depending on how much soil in each pot. Don't use slow release ferts because they are very hard to clear out. Outdoor farmers who need to use slow release can time it and use just liquid ferts toward the end. So now you have harvested right at the peak. You cleared out the nutes beforehand and you have fragrant, spicy highly potent buds you want to preserve. The most important thing is that they must be dried. Mold is your biggest enemy once you harvest. If you have excessive moisture in the grow room you may have battled mold well before harvest and afterwards it's even more difficult. The trick is to dry them slowly so that certain biochemical processes can go on but not so slowly that mold can get a foot hold. The key is to control humidity. A good cure can last up to 8 weeks or more and will leave you with a stash that's tasty and fragrant and which has lost none of it's potency. A poor cure will leave you with nasty tasting bud that's harsh on the throat. A poor cure can even cost you your harvest. Immediately after the harvest comes the cure. The reasons for curing and not just quick drying your crop are to make the herb sweet smelling and smokable. You want it mild not harsh and you want a good smell and flavor. After all that work don't ruin it with a too quick cure. A good cure lasts for from 3 to 8 weeks but good results can be had in two weeks or so. The idea is to remove the water slowly enough to let biological processes take place that convert the sugars and starches into harmless and flavorful compounds. Sugar or starch will give a harsh smoke that hurts the lungs. Plants need sugars to live on and they produce them from fertilizer and sunlight. This curing process also breaks down some of the chlorophyll which give herb it's green color. Too much chlorophyll gives an unwanted leafy taste. Your main enemy when you are curing is mold. After pot is dried it's not very susceptible to mold but you have to maintain a certain level of humidity to let the curing process do it's work. The way you control humidity is by controlling how much ventilation you allow. You want some ventilation but not too much. Too much and it dries out without curing properly, too little ventilation and you may get mold. If you see or smell the slightest sign of mold you must immediately stop the cure and let it dry out. If mold is unchecked it can destroy your crop in short order. Mold can be detected by sight and smell. It looks white usually and will be fuzzy. If you see it in one part you can be sure the spores are all over so you may as well let it dry. Mold also has an odor which is always nasty. Never never smoke herb that has mold on it. You want to avoid light and heat at all times with your crop after it has been harvested. Light will destroy it and temps over about 80 degrees are bad. The best place to store it is in the freezer or fridge. If that's not practical a cool dry dark place will do. You need an enclosure to put your crop in for the cure. Depending on the size of you crop you can use a cardboard box, a closet or an unused room. With the cardboard box you want to hang the plants from a string. Don't just dump everything into the box because the plants on the bottom won't get enough air and may turn moldy. I used to put string across the open top of the box and tape the ends to the outside. I would crisscross several strings and attach the plants with twist ties. Make sure the box is tall enough for your plants. If it's not tall enough you can cut the plant in half or even cut off each branch and hang it in the box. The plants or branches should be loose and have some space between it and the next. It doesn't take a lot of space just as long as air can circulate. With a closet you do the same thing. You might want to put nails or thumbtacks in the walls for the strings or the clothes hanger bar may be enough. If you use a whole room you need to set up something to keep the plants hanging upside down off the floor. The first few days you allow more ventilation and as the plants get dryer you allow less. In the box leave the top off, with the closet leave the door open and if you use the whole room leave the door open and use a fan to blow air in. After one or two days you will have lost a good bit of moisture and you can begin to restrict air flow. I used to put a section of newspaper over the top not quite covering the whole top of the cardboard box. As the cure progressed I would cover the top more and more. As soon as the leaves began to get stiff I'd cover the top completely. They still got a little air because the newspaper was not airtight. With a closet after a day or two close the door all except for a couple inches. As the cure progresses and the plants get drier, close the door altogether. Almost all closets have cracks around the door that air can come through. If you have a very large closet treat it like a room. When using a whole room to cure, after a day or two of letting the fan blow air in, close the door part way. With the room cure it's a good idea to have a fan inside moving the air around and another fan in the doorway blowing fresh air in. Watch the plants very closely to see how fast they are drying. As soon as you notice a little bit of stiffness to the stems they have lost probably 50% of their moisture. When the leaves start to get a little bit crisp you have lost most of the excess moisture and you must restrict ventilation some more. Using a whole room at this point you turn off the fan blowing air in but you leave the door open a little. You never cut off ventilation completely because mold is a threat right up until the end. The leaves should start to get a little crisp after a week or two. If it happens sooner you may be using too much ventilation and should cut back. Along about this time you should notice a very nice smell. This is the curing smell and it smells a little like baking bread along with a piney or fruity or skunky smell from the pot. This is the nice smell you want your herb to have. If you notice the least bit of a nasty or rotten smell it is probably mold and you need to check very closely. After the leaves start to get a little stiff and you have restricted the air flow it takes anywhere from a week to 6 week more to finish it. When to stop is up to you. You might want to decide by the color of the herb. It gets less green as it goes along. Buds will retain the green color longer than will the leaves. Buds may still be green at the end of the cure but not quite as bright a shade of green. You will be the proud possessor of a stash of sweet smoking, good tasting buds without the harshness of fresh cured smoke. People pay a lot of money to get seeds they think will grow pot that smells like blueberries or chocolate or something else. Often these strains are hard to grow or may not be as potent or high yielding as other less expensive varieties. People want to know if orange bud smells and tastes like an orange. With the proper techniques you can make your favorite variety smell and often times taste like anything you want. You want to do this without ruining the cure. It's no point having blueberry pot that burns your throat or doesn't get you high. Do not pour any syrup or similar flavorings on your pot. The sugar will make it very harsh and you are inviting mold. There are better ways. The best flavor enhancing starts while the plant is still growing. You can do a certain amount while it's curing and you can even affect the smell/flavor somewhat after it's been cured. There are two main approaches, inside out and outside in. You can apply flavors inside the plant while it's still growing and you can try to add flavors after it's been harvested but this is from the outside. Anything you put in your plants water will affect the taste of the finished product particularly if you harvest it right afterwards. I learned this about 20 years ago the hard way. I fertilized using fish emulsion right before I topped the plant. Bad move! The resulting top smelled like fish and had a foul taste. What you want to do is select a flavoring that is very concentrated. Lets take orange for an example. You could use orange juice but if you could find concentrated orange extract you would have less pulp etc to deal with. You will find some concentrated flavor extracts in the grocery store. Want your pot to smell like vanilla? Vanilla extract is cheap and readily available, so is lemon extract (cooking variety). Other extracts can be found in stores that specialize in baking supplies. Lets say you can't find any of that and you want to use what you have on hand. I took the example of orange flavoring. If all you have is orange juice you could use that. I would suggest filtering it first to get out as much of the pulp as possible. A coffee filter works well but it'll take a while to filter it all. You may have to change filters a few times. Those with hydroponic units will shudder at the thought of a lot of goop going through their system. That's why I suggested the concentrated extracts if you can find them. It's important to do this shortly before harvest. For one thing, most extracts including the ones you make up yourself have a lot of sugar in them. This sugar will ferment and decay rapidly, even more so in a hydro unit. With hydro I recommend putting the flavoring in the water between 1 and 3 hours before harvest. This rule isn't set in stone but I heard from one grower who used a sugar based clearing solution on his crop and less than 24 hours later the water was foaming from bacteria growth. Plants draw up solution fairly quickly so one hour should be enough for some of the flavoring to reach the top. Three hours should not be enough time for bacteria to grow but you will want to dump out the solution right afterwards and clean out your unit. Remember to use plain water for a few days before harvesting your hydro crop so all that will be in the water will be the flavoring. If you are a soil grower it's even easier. You might think it would take longer for the flavor to work it's way through the plant but this is not the case. All you have to do is let the plant dry out a little before your apply the solution. In other words schedule a watering just before harvest. Naturally you were giving your plants plain water for several days to a week or two before harvest weren't you? Give the plant the water with the flavor when it's a little bit thirsty and it will draw it right up. One hour is more than enough time for this to happen. After harvest it's important to give it a good cure as I described last week. Resist the temptation to fast dry some of the weed to try it out. You will find it's even more harsh than it would be normally because you have added some sugar to the plant by way of the flavoring. The curing process will take care of the extra sugar and give you nice mild smoke. It will also have the flavor and aroma you are looking for. I'm sure I will get a deluge of email asking me what the exact formula is for the flavoring. I can hear it now "how many drops of Bosco per gallon?" First of all, I don't know what you want. You may want something that smells exactly like an orange or a blueberry and doesn't smell at all like pot. As far as I know that's not possible. You would probably ruin the pot if you succeeded. What some people think is a nice hint of strawberry may be way too strong to the next person. What one grower thinks is very blueberry may not smell or taste like blueberry to his friend. I suggest that you don't treat your whole crop this way while you are experimenting. Dirt growers will find this easy because they could use something different in each pot. Hydro people may want to isolate a plant or two with the solution. This wouldn't be very hard because you wouldn't need circulation for the short period of time it would be soaking in it. Other things you could try are guava, pineapple, grapefruit, passion fruit, cherry, mint or even pina colada. Stronger and more concentrated flavorings will have a more pronounced effect than more dilute products. You may need gallons of orange juice to get what you want but a half ounce of concentrated strawberry essence might do the job nicely. I may start collecting recipes and have an issue of the SU devoted to peoples favorite recipes sometime in the future. In short, experiment and see what works for you. The other approach is to use something in the curing process. People have had good results with orange peel, lemon peel or other citrus peels. This will only give a bit of odor, it's not as strong a technique as the previous one I mentioned. For those who just want a hint of something this may work fine. It's important to watch very closely for mold when curing. The moisture from the peels may promote mold if you're not careful. Let the herb dry for a day or two before you add the peels This might work a little bit with pot that's already cured and dried but it's less effective at that point. I have found that a "Drynet" from Homebox, suspended inside a GrowLab GL120 works wonders for slow drying and initial curing. envelopes are great for the side banch buds. evelopes of popcorn. i use grapefruit peels and flush w/dole 100% strawberry and kiwi juice mix w/ sping water. then just spring water. i have soiless mix. good drainage. keep it going for a week before harvest. mmmm...Orchard Peach juice on sale for $1 per 1/2 gal. Clean and clear with no pulp.
" The Baby Bloomers "
Man that orange juice concentrate sounds pretty sweet. Pina Colada flavored pot on the other hand, well only if your growing for the "ladies"!! I am using a shed for curing as it is my only option. I have heard that you shouldn't allow any light on your plants at this time. Is that right? I refuse to kiss anything that uses its tongue for toilet paper! no light ..darkness,whats the temp of that shed during the day? That's all weather dependent. I'm getting ready to start flushing my plants so by the time they are ready to go in the shed, I would like to the think that the day time temps would be in the 70's. I am drying in my basement in Colorado where the temp is mid 60s but low humidity. Think the fan leaves are drying rather fast (crisp in 3 days). Anyone else have experience drying in similar conditions or dry climate? I may have missed it, but when does one start trimming? I know, a newbie question. Arrogant to ban it! Abusive to tax it! Is your fan set too high? If you're drying in a small area instead of an entire open basement, the plants will dry slower as they will be humidifying the air as they lose moisture (until equilibrium is reached). Uhh... When you harvest, lol? I never liked the idea of letting leaves wilt down over sticky buds, stick to them, and dry. YMMV, of course. I assume it is not a problem, but don't these "flavorings" throw off the PH and damage the harvest? You can come out whenever you are ready. The flavorings that you use are mixed in with water and then ph'd to 5.8-6.0. They are for hydro use and not recommended for soil. Causes bugs in soil grows due to the added sugars. If you are going to use a flavor, do not use until the last 2 weeks of the grow and are added with the flush in the last week. I read somewhere here that if growing in soil you can add the flavors no more than 4 hours before chop, for some reason they will absorb it almost instantly. I've never tried it but the poster seemed to be speaking from experience. My room mate e-mailed me this article, I am by no means taking any credit for what is said here but it is very informative to the science behind the curing process. The very short answer is YES. It does affect potency in a very positive manner. Curing cannabis after harvesting for few days to several months will improve the potency, as well as the taste and texture of the buds. Curing takes place after cannabis has been harvested, manicured and partially dried. Most cannabis will retain a significant quantity of moisture within its stems and inner buds even when the outside feels dry. This is especially true for very dense buds, more care must be taken in drying loose airy buds because sometimes they can dry too fast. Should a sample of bud become over-dried before proper curing is complete, many different techniques may be used to slightly re-hydrate the bud and continue curing as normal. Fresh buds, orange or lemon peels, lettuce, apple or many other fresh fruits and vegetables can be added to a sealed jar of pot to allow more moisture to diffuse into it. Plain water either sprayed directly on or applied via towel to the buds is also a good way to re-moisten them. Be very careful when re-moisturizing buds though, because sometimes the re-moisturizing material can carry pathogenic fungi and bacteria, Which if not monitored carefully, can destroy your crop. Venting, checking, turning, and even re-moistening of buds is necessary so that the proper moisture content to promote curing is present, slow even drying is the optimum process for curing cannabis. The preferred container for curing and storage of cannabis buds is an all glass jar, with a large opening for easy access. Wide-mouth canning jars with glass bodies and tops with a rubber seal are an ideal choice. Less preferred are small-mouth canning jars with metal or plastic lids. Generally try to avoid all plastics in direct or close contact with your cannabis. Generally these materials are slightly porous and the phenolic acids and terpenoids can react with plastics, but not with glass. Initially drying can be preformed free hanging or enclosed in cardboard boxes or paper bags, both of which will act as a desiccant. Moisture is essential for the curing process, it is both your friend and enemy. If too much moisture is left in the buds, with out the regular mixing, venting and turning of buds involved with curing, molds and bacteria can quickly form and ruin the taste and potency of your stash. On the other hand, without the necessary moisture metabolic processes essential to curing do not take place. Fresh cannabis plants are around 80% water (all %'s by weight); curing generally begins after the cannabis has lost half of it's initial mass, and contains approximately 33% of it's initial water. Once curing is complete and the pot is "dry", it should still contain 10-15% moisture, approximately 2-4% of its' initial water. This is an ideal because most bacteria and molds can not grow below 15% water content, and below 10% cannabis buds tend to powder. 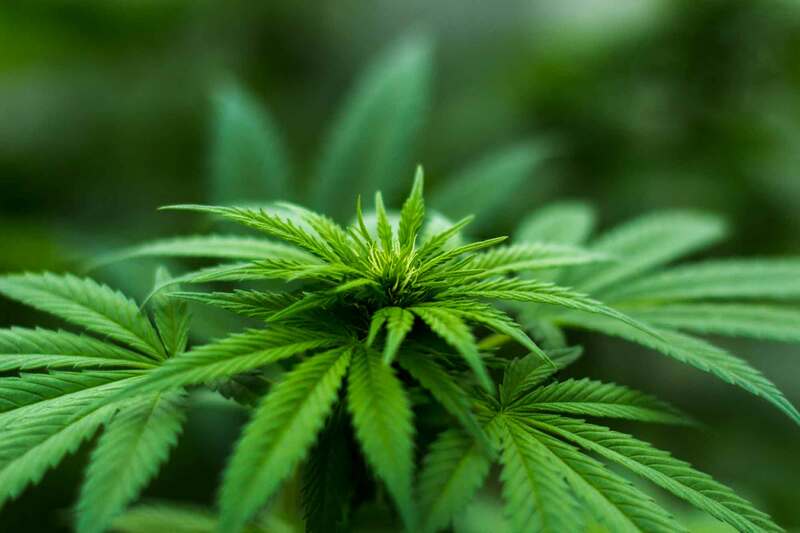 Naturally, as the metabolic processes continue during curing, the conversion of cannabergerol to tetrahydrocannabinol will continue and the potency of the pot will increase. This is because cannabergerol (CBG) is the non-psychoactive precursor for tetrahydrocannabinol (THC). Of course, the exact change in THC content will necessarily be dependant upon the concentration of CBG in the fresh material at harvest. Of course any remaining precursors necessary to form additional cannabidiol (CBD) and other cannabinoids will also be consumed and converted. Be aware though if curing is excessively prolonged (most connoisseurs would agree after 6 months no more benefit could be had from curing), the conversion of THC to non-psychoactive cannabinol (CBN) will occur. The exact rate of decomposition can vary widely depending on handling and storage conditions, but can be less than 10% to greater than 40% decomposition per year. The buds need to be kept in the dark, protected from light, which will quickly decompose the THC. Moderated temperatures should be observed during curing, 50-75F being ideal. Excessively hot temperatures will promote oxidation and the growth of mold and bacteria, and very cold temperatures can prolong curing and drying for up to several months. During storage, buds should be stored as cold as possible, if temperatures of 0C or less are to be used, make sure the bud is dried to a very low moisture content before storage (to insure that cell walls are not burst by the freezing water). Also, if prolonged storage is planned evacuating the oxygen and replacing it with carbon dioxide, nitrogen, argon, nitrous oxide, or any other inert gas will help slow oxidation, as well as the addition of antioxidants such as ascorbic acid packets or vitamin C tablets. The most stable way to store cannabis is as whole unbroken buds or unpressed trichomes. Excessive rough handling or pressing can easily damage the protective cell walls and plant waxes that help protect cannabinoids from oxidation. Also as these metabolic process take place, the plant needs energy which leads it to consume the sugars, starches, nitrates, and minerals. Many of these compounds are metabolized and released as water and carbon dioxide, therefore removing what is essentially inert material from the pot increasing the concentration of cannabinoids therefore making it more potent. Much of these positive metabolic processes can be most effectively begun with thourough flushing and stripping of the plant before harvest. This will help reduce the amount of time necessary for a good cure. Curing will not only improve potency, but the color and look of most cannabis buds because as the chlorophyll is broken down purple, gold, and white coloration can emerge and the trichomes will appear more pronounced. Some decarboxylization will take place during curing as well. This happens when the carboxyl group (COOH) located at C-2, C-4, or the end of the hydrocarbon chain at C-3 is destroyed leaving a hydrogen attached and liberating CO2. Decarboxylization is necessary to convert cannabinoids to usable psychoactive forms; the plants (and your body) carboxylize cannabinoids to make them more soluble in water (for metabolic reactions and excretion). Research indicates that this effect is fairly minimal during the curing process though. Decarboxylization will take place naturally very rapidly at temperatures of over 100C. So smoking and most any cooking will decarboxylize the cannabinoids. As decarboxylization occurs, the loss of CO2 will liberate a small amount of inert material making the pot more potent via concentration of the cannabinoids. Terpenoids are the highly volatile compounds that give marijuana much of its' characteristic odors, and therefore tastes. The most current research also suggests terpenoids lend to the high, sometimes very significantly. Cannabinoids are phenolated terepenes so it's not surprising that many hundreds of different terpenoids are synthesized as well. As pot ages, some of the terpenoids go through polycyclic aromatization in the process of decomposition. This agglomeration of terpenoids will change the flavor; hence the ability of cured pot to show flavors that didn't seem present in the original fresh material. Much of the very volatile terpenoids will also evaporate and or decompose, especially with prolonged curing or storage. This action will remove some matter from the pot increasing the cannabinoid concentration and therefore potency. It must be noted that excessively long curing or storage, higher temperatures, or extremely low moisture content will cause such through evaporation of the terpenoids that the cannabis will generally loose almost all of it's natural flavors. "Its better to have known puff and to have lost it than to have never puffed at all"
Cleared up a bunch of question for me thanks guys! I really appreciate the creation of this thread!!! One quick question, does anyone have anything to say about growing with a chiller hydroponically (single site RDWC to be specific) and using that chiller to help flush by dropping temps super low at the end? anyone heard of this? Please let me know thanks! Founding Fathers are Out of Touch!? So has anyone tried adding various flavours in a soil grow... i like the idea of adding some orange/ vanilla/ mint essence a few hours before chopping. i was wondering if doing this would affect drying and curing due to the extra sugar intake. "That is not a drug. Itâ€™s a leaf,"